Last night I used the Pentax K-x DSLR at the prime focus of an 11", f/10 SCT. An SPC900NC camera was used with a 2.5 x Barlow and an 11" SCT. 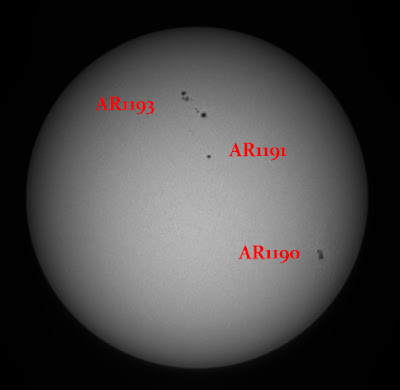 Using an 11" SCT and a Philips SPC880/900NC camera fitted with the lens assembly from a x2 Barlow, 6000 frames were captured in 5 AVIs using wxAstrocapture under Linux (Ubuntu). 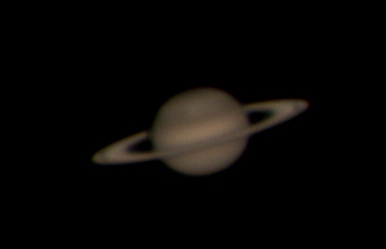 On Saturday April 16th Saturn was imaged with a DBK camera and an 11" SCT with a 2.5 x Barlow. The storm is visible in this image.